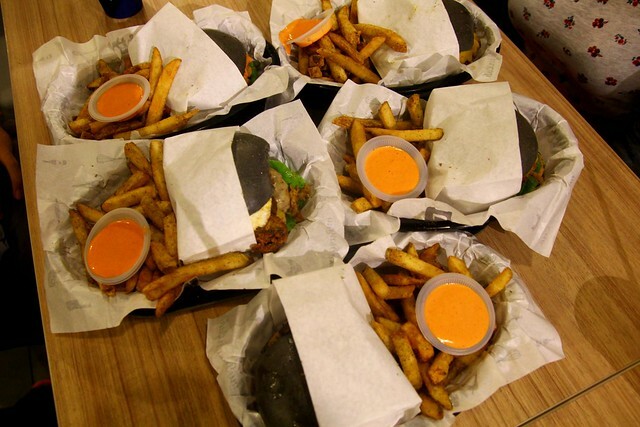 Klang Valley: Beautiful Mess 5.0 of myBurgerLab – A torrent of slaps fell on Friday night. I thought that with that kind of wet and roaring weather, people will tend to stay at home for meal or go somewhere near to grab a quick bite, but then the usual evening queue at myBurgerLab was on! 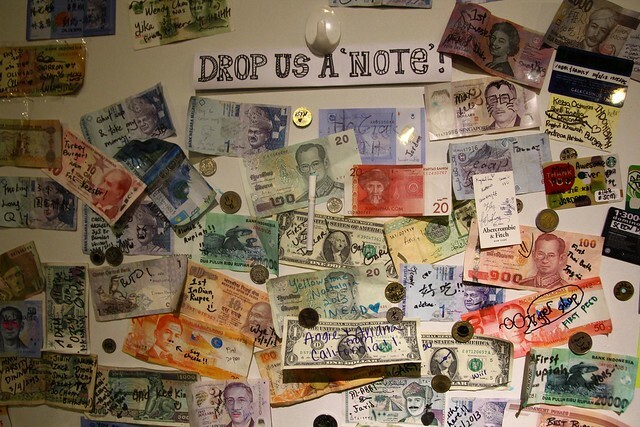 Indeed, the burger shop is doing very well. 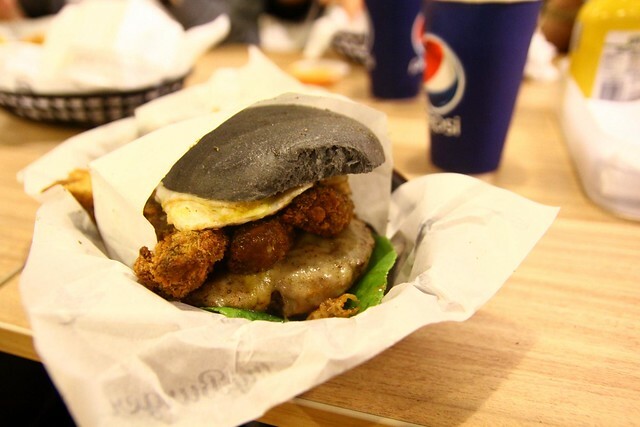 Queued for about 20 minutes and the burger of the night was Beautiful Mess 5.0 (RM18) – Charcoal bun stuffed with portobella fries, thick and juicy beef patties, sunny side up, and mozarella cheese. 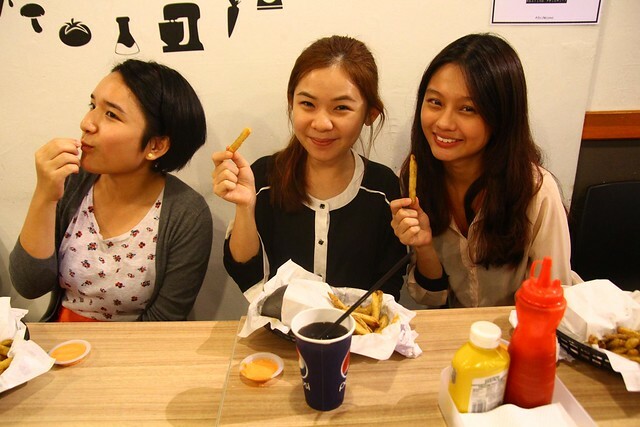 One more thing, thumbs up for the good service of myBurgerLab’s staff who always put a smile on the face. =D Another thing is that they should seriously a bigger space is needed, it’s hard to get a place to sit. BEAUTIFUL MESS 5.0! Look at the deep fried portobella! Eating mate of the night – Connie, Quenna, Siyi. 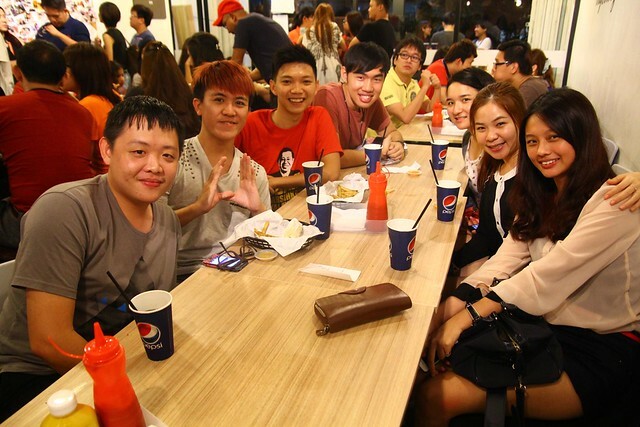 Eating mate of the night – Jason, Henry, me, Simon, Connie, Quenna, Siyi.